Do you have a recipe that calls for buttermilk but don’t have any on hand? Well, as long as you have some milk in the fridge and either lemon or white vinegar you needn’t worry. 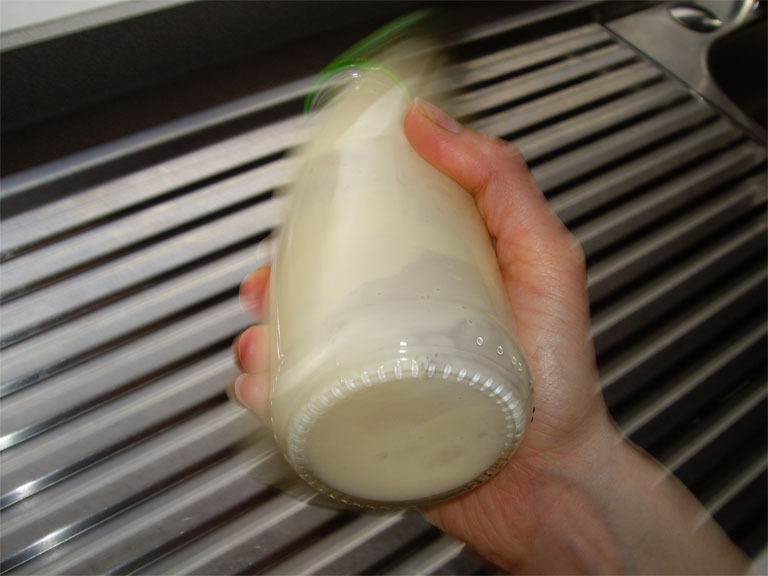 To one cup of milk add 1 tablespoon of lemon juice (or vinegar). Shake it well. I like to use a small, wide rimmed bottle so that I can shake it real-good! This works best on full cream milk but, if you are using skim milk and happen to have a tablespoon of cream on hand use that. If you have to take the cream from whatever recipe you are about to cook that’s fine. Afterall it’s all going into the recipe anyway! Now you’re ready to rock’n’roll. I thought that this would be a good segway into tomorrows lip-smacking strawberry dessert recipe. Ah-ha!